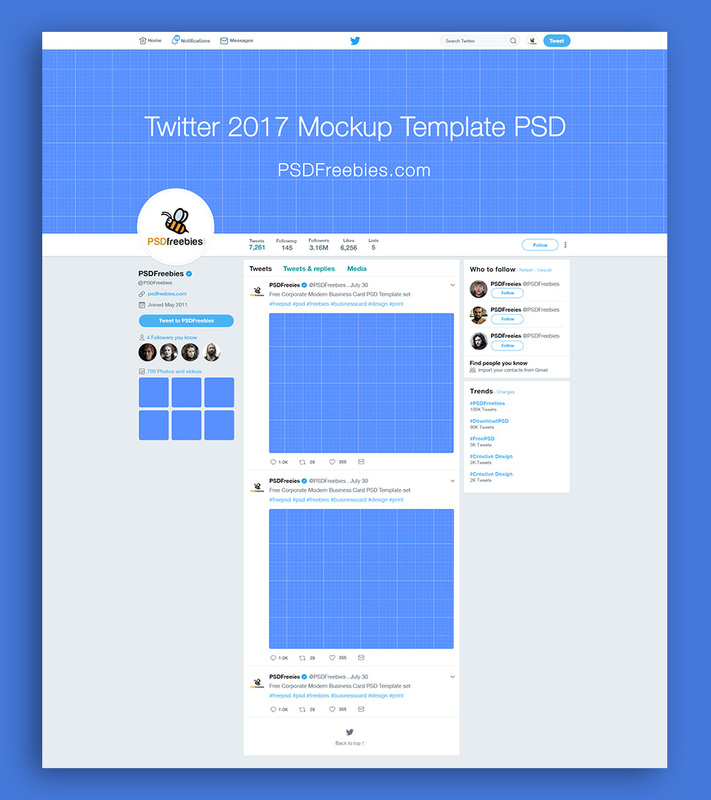 Download Free New Twitter 2017 Page Mockup. 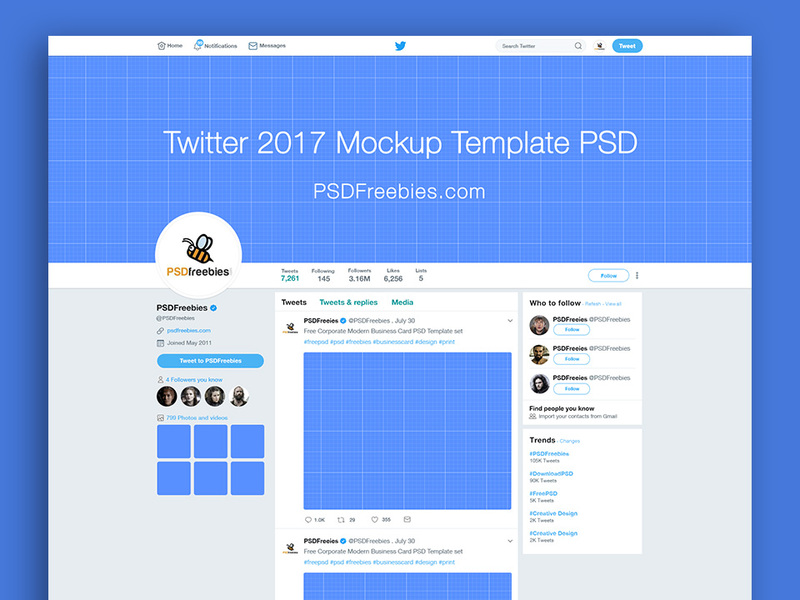 This new twitter 2017 mockup is designed to make it easy to showcase twitter brand profile & cover image with your clients. The psd file can be edited in Adobe Photoshop, and to be able to change the text and color, Thank to smart object. Useful mockup created by PSD Freebies.